When you stay at Adagio, you’ll never run out of things to do. 30A events happen year-round this vibrant and stunning location where fun never ends. Discover local artwork, drink delicious wines, listen to live music, and meet exciting people during your Florida vacation! Read on to discover some of our favorite 30A events. Enjoy the fresh and local products of 30A year-round at the Rosemary Beach Farmers Market! Get to know the producers in the community and taste some of the best fruit, vegetables, bread, and pastries you’ve ever had in your life. Hosted on the first Friday of every month, this event offers a great way to explore the local art scene along 30A. On First Friday Art Walk evenings, the galleries open up after hours and offer meet and greets with artists, refreshments, and live music. Explore the riches of nature at Camp Helen State Park. This monthly historic tour takes you through stunning landscapes, including a magnificent dune, and offers breathtaking views of the Gulf! Wine, food, and fun in the sun! That’s the motto of the Sandestin Wine Festival. Named the best annual event by Destin Magazine, the Sandestin Wine Festival happens every April and offers visitors the opportunity to discover a fine selection of wines and gourmet food. For more than two decades, the Seabreeze Jazz Festival has brought world-renowned artists and top performances to 30A. Ranked in the top ten jazz festivals by JAZZIZ Magazine, the Seabreeze festival is something you can’t miss if you come in April. 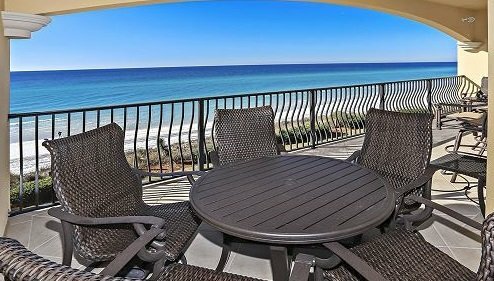 The South Walton Beaches Wine and Food Festival is another must-see when you stay at Adagio in April! Meet more than dozen winemakers, prestigious chefs, and brewmasters during this four-day celebration at the town center. Channel your inner Picasso during the Art Week in South Walton in May. This festival lasts for ten days and features several local artists and organizations. You’ll experience a variety of presentations in visual, literary, and performing arts. Best of all, the event takes place at numerous locations, offering the opportunity to explore 30A while living out your passion for art. Music lovers, rejoice! Every year in September, Gulf Coast Jam rocks 30A and brings an exclusive selection of talented musicians to town. Blake Shelton, Luke Bryan, Miranda Lambert, and many other country music names come regularly! Put your cowboy boots on and be on the lookout for tickets starting in April. 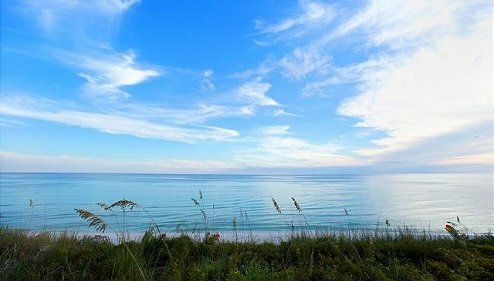 The 30A Half Marathon & 5K happens every October and takes runners through the quaint beach towns of 30A, as well as along the ocean on the scenic highway. In addition to the race, a series of event is held throughout the weekend, such as a BBQ Festival with live music and cold beer. Racers get free access and tickets are available to the public for $25. 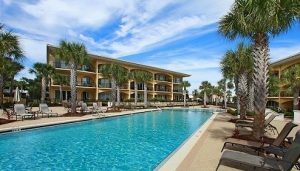 Adagio in 30A Is Your Next Vacation Destination! Don’t miss any of these 30A events when stay at Adagio! We offer top-notch accommodations to make your vacation magical. Our modern and elegant amenities are perfect for a relaxing and stylish getaway, whether that be with your significant other or your family! Are you a pool or ocean-view person? Lucky for you; we offer both! Take a look at our rentals and choose the one that’s right for you. Then, start planning your stay. We look forward to helping you find your home away from home at Adagio!